To add an Item Vendor, go to Store > Item Vendors. 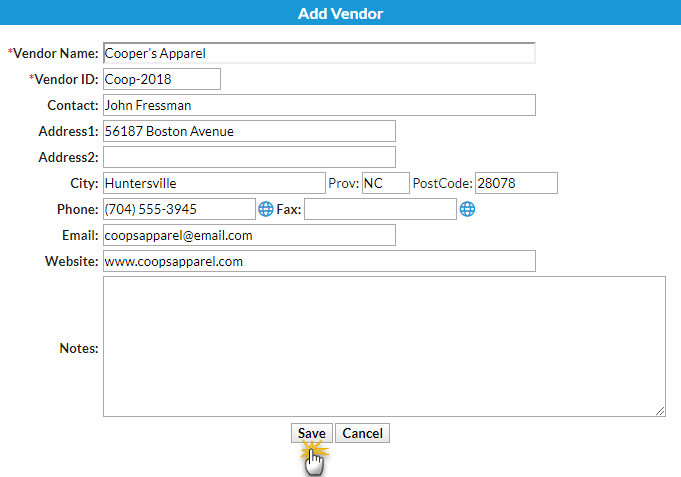 Select the Add Vendor button to add vendors. In the Add Vendor window, add applicable information and Save.